For many patients with chronic pain, any light touch – even just their clothes touching their skin – can be agony. Scientists at EMBL and the Werner Reichardt Centre for Integrative Neuroscience (CIN) of the University of Tübingen have found a possible new avenue for producing painkillers that specifically treat this kind of pain. In a study published online today in eLife, they discovered how the stiffness of our nerve cells influences sensitivity to touch and pain. “Being able to stop this mechanical pain could be very powerful, and it’s something that current drugs are not very good at doing,” says Paul Heppenstall, who led the work at EMBL. Whether it’s a light brush or a painful poke, when something touches you, receptors on the nerves under your skin sense it and carry that information to the brain. To be more precise, those receptors detect – and respond to – the bending of the nerve cell’s membrane. The EMBL scientists have now discovered a molecule which, by influencing how stiff or bendy a nerve cell is, affects how sensitive a mouse is to touch and pain. Heppenstall and colleagues genetically engineered mice so that they could not produce a molecule called Atat1. 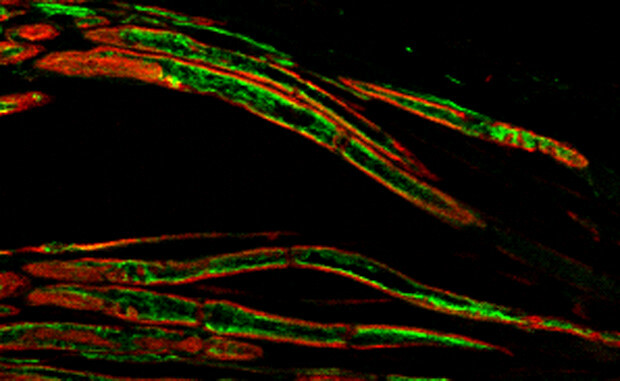 Working with Jing Hu’s lab at the Centre for Integrative Neuroscience at Tübingen University and Laura Andolfi at Istituto Officina dei Materiali-CNR, in Trieste, they found that the nerve cells in the affected mice became more stiff, and they became insensitive to light touch and to mechanical pain. This happened both when they prevented all of a mouse’s cells from producing the molecule and when they did so just in the mouse’s sensory neurons. The Atat1 molecule is present in all cells. 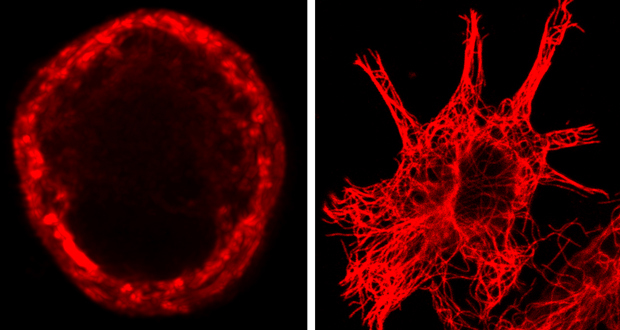 Scientists know that it modifies microtubules – tiny tubes that act as transport network and scaffolding inside cells – and that this happens in all cells, especially in nerve cells. So Heppenstall, Hu and colleagues were surprised to find that the other senses seem not to be affected in the mice. 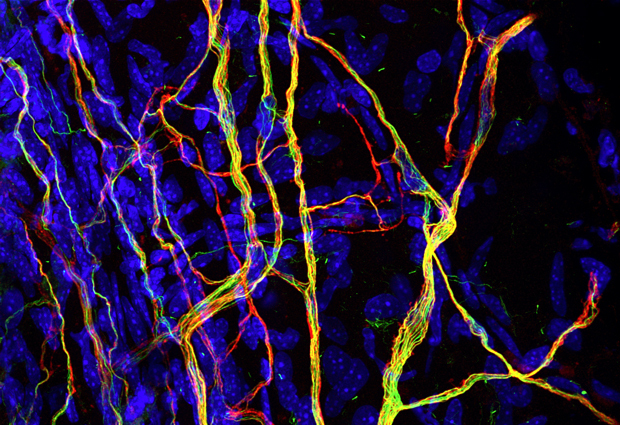 “It could be that the molecule also affects the stiffness of nerves involved in other senses, but because stiffness is not important for detecting smells or tastes, for example, changes in cell stiffness might not have a detectable effect on those senses,” says Shane Morley, who carried out the work at EMBL. One difference that the scientists found between nerve cells that detect touch and other cells is in how their microtubules are arranged. In sensory cells, they form a ring just below the cell membrane. In other cells, they don’t. The scientists think that this ring probably fine-tunes how stiff or bendy a nerve cell’s membrane is, influencing how sensitive that cell – and the animal in general – is to touch. The nervous system and sense of touch are similar in mice and humans, so the results likely hold true for people, too. And although problems in cell stiffness are unlikely to be at the root of most patients’ hypersensitivity to touch, controlling how stiff nerve cells are could nevertheless be an effective way of treating that sensitivity.